This week’s notable decision is Hodges v. Life Ins. Co. of N. Am., No. 18-1279, __F.3d__, 2019 WL 1446800 (10th Cir. Apr. 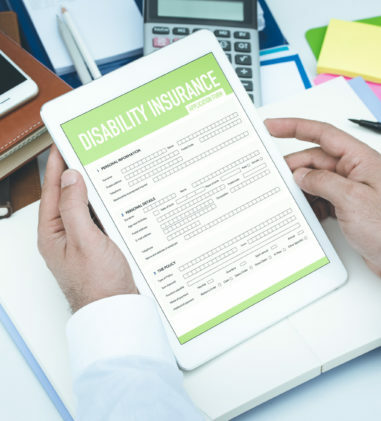 2, 2019), a matter involving the proper calculation of long-term disability benefits based on the classification of the plaintiff’s job. The facts: Hodges worked as a cryotherapy technician for Endo Pharmaceuticals before he was forced to stop working due to a degenerative eye condition. As an employee of Endo, Hodges was a participant in its group insurance plan insured by Life Insurance Company of North America (“LINA”). Hodges’s disability is not in dispute. In dispute is whether Hodges, as a cryotherapy technician who “sold products out in the field” and was responsible for assisting in the “growth and development of existing and new business lines” should be deemed Class 2 “Sales Personnel” under the Policy. Sales Personnel or Sales is not defined in the Policy. Hodges’s disability benefits would be higher under the Class 2 formula since it factored in payments received from bonuses or target incentive compensation bonuses and 30% of his income came from sales-driven compensation. Hodges submitted emails and documents showing how the company stressed the importance of cryotherapy technicians to market the company’s products. However, Endo informed LINA that it did not classify Hodges as “sales” and that he was paid a bonus for additional tests he performed at doctors’ offices. Additionally, these bonuses were not included in the LTD premium calculation. LINA determined that Hodges was not a Class 2 employee based mostly on Endo’s representations. The Holdings: The court first considered whether LINA is entitled to deference in deciding who qualifies as a salesperson under the Policy. The court found that the Policy contained no language granting LINA the discretion to determine who qualifies as a salesperson. The Policy only states that LINA “determines” eligibility. If LINA wanted to reserve itself discretion, then it should have done so explicitly. It has had 30 years since Firestone to get it right. On whether Hodges qualifies as a salesperson, the court found that he does. Hodges had responsibilities to sell and promote Endo’s commercial products and had to submit a minimum of one lead a month for new cryotherapy users. He received a significant portion from bonuses when he did sell products and services. Endo’s three Incentive Compensation Plans also provided bonuses to employees like Hodges who recruited new physicians to use Endo’s methods. The court found that Hodges’s job clearly involved selling Endo’s products. Even though he derived most of his income from non-sales activities, he could not continue cryotherapy without selling the company’s products. The court agreed with the district court that a reasonable person in his position would have believed himself to be a salesperson. Levy v. Young Adult Institute, Inc., et al., No. 13-CV-2861 (JPO), 2019 WL 1434271 (S.D.N.Y. Mar. 30, 2019) (Judge J. Paul Oetken). In this suit seeking to recover benefits under a supplemental executive retirement plan, the court awarded Plaintiffs a total of $2,170,778.14 in attorney’s fees and costs (60% of amount requested) with leave to file a supplemental motion for attorney’s fees with respect to fees and expenses incurred from September 1, 2017 to the present. The court made the following notable determinations: (1) fees for work done pre-filing are authorized when reasonably incurred in connection with the commencement of the action; (2) semi-clerical work such as the organizing of countless numbers of documents in a complicated case or other work that requires a comprehensive understanding of, and familiarity with, the substance of the case may be recoverable; (3) the attorneys’ submitted evidence that they charge clients interest on past-due payments, thus, the 4% prime rate in effect when final judgment was entered is appropriate to add to the fee award; (4) Plaintiffs are not entitled to expert fees incurred by experts who did not testify and are limited to reimbursement for expert fees to the per diem allowances provided for by 28 U.S.C. § 1821; (5) Plaintiffs are entitled to costs of travel, copying, shipping, and meals since these costs are reasonable costs customarily charged to clients but they are not entitled to costs for expenses with no supporting documentation; (6) the $107,794.56 in fees and costs arising from Plaintiffs’ counsel’s work in connection with the fee motion is excessive and subject to reduction; (7) where Plaintiffs did not prevail on approximately three-quarters of their claims and prevailed on only half the claims that proceeded to discovery, the court found that a reduction of fees of 35% is warranted given the incomplete success. Blackwell, et al v. Bankers Trust Company of South Dakota, No. 3:18-CV-141-CWR-FKB, 2019 WL 1433769 (S.D. Miss. Mar. 29, 2019) (Judge Carlton W. Reeves). The court denied Defendant’s motion to dismiss Plaintiff’s claim under Section 406(a)(1) that Defendant’s authorization of the ESOP’s purchase of Sta-Home stock from parties in interest above fair market value was prohibited by ERISA because Plaintiff sufficiently alleged how Defendant’s conduct in this transaction was inadequate. There is no support for Defendant’s position that Plaintiff must preemptively address an affirmative defense. The court also denied dismissal of the Section 406(b) claim that Defendant received consideration for its own personal account from Sta-Home because Plaintiffs sufficiently alleged the incentives Defendant had for brokering the deal and a plausible conflict in Defendant’s representation. Duggan v. Towne Properties Grp. Health Plan, No. 1:15-CV-623, 2019 WL 1439936 (S.D. Ohio Mar. 31, 2019) (Judge Michael R. Barrett). Plaintiff sought reconsideration of the court’s class certification decision on the basis that it committed a clear error of law in its finding that MedBen’s nonfiduciary status precluded class certification of an ERISA § 502(a)(3) claim. The court denied Plaintiff’s motion because it seeks to re-argue the motion on alternative arguments that could have been brought in the original motion. But, the court found that Plaintiff’s new theory would fail to establish that Plaintiff can bring class claims against MedBen because as a nonfiduciary, Plaintiff has no claim for relief against it under § 502(a)(3). McMaken v. Greatbanc Trust Company, No. 17-CV-04983, 2019 WL 1468157 (N.D. Ill. Apr. 3, 2019) (Judge Andrea R. Wood). 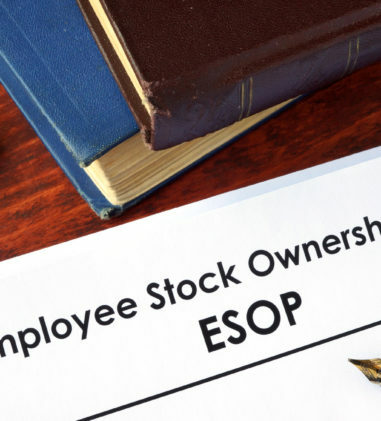 In this lawsuit alleging that Defendants caused the ESOP to engage in a prohibited transaction, the court granted Plaintiff’s motion to amend the complaint to add additional claims. It found that Plaintiff’s ERISA § 404 claim based on the indemnification provision in the engagement agreement is not futile. “While it is true that a fiduciary may by indemnified by a plan sponsor in the same manner as insurance, ERISA prohibits any agreement that relieves the fiduciary of responsibility or liability for violating ERISA—specifically, liability resulting from a breach of fiduciary duty.” The court also determined that Plaintiff’s “allegations of the ties between GreatBanc’s valuation of the Plan’s assets and its own compensation is sufficient to state a prohibited transaction claim under ERISA § 406(b)(1).” Lastly, the court found that Plaintiff pleaded enough facts to support a breach of fiduciary duty claim. Cromwell v. Kaiser Found. Health Plan, No. 18-CV-06187-EMC, 2019 WL 1493337 (N.D. Cal. Apr. 4, 2019) (Judge Edward M. Chen). Plaintiff alleged that Kaiser’s changing the terms of the health plan to not cover speech therapy for autism on the same terms as it provided Applied Behavioral Analysis therapy and in-patient treatment violates the California Mental Health Parity Act and is a breach of fiduciary duty for which she seeks equitable relief of plan reformation and disgorgement. The court granted Kaiser’s motion to dismiss Plaintiff’s breach of fiduciary duty claim under Section 502(a)(3) because it found that Kaiser did not act as a fiduciary in amending the plan. The court also dismissed Plaintiff’s Section 502(a)(2) claim seeking disgorgement of the money Kaiser received in excess of the $20 copayment it previously required for speech therapy because Section 502(a)(2) does not provide a remedy for injuries suffered by individual participants as a result of a breach of fiduciary duty. Even if the Section 502(a)(2) claim could be sustained because the refusal to pay benefits was part of a larger systematic breach of fiduciary obligations, the appropriate relief for the plan would be removal of the fiduciary, not disgorgement of the beneficiaries’ payments, which would likely come from plan assets. Pension Subclass—All persons who were (i) employees of the employers College Point, Grace Industries and/or Willets Point, (ii) vested participants in the Local 1175 Pension Fund, and (iii) whose nonforfeitable benefits were transferred to the Local 175 Pension Fund in December 2013. Welfare Subclass—All employees of employers College Point Asphalt Corporation, Willets Point Contracting Corporation, and Grace Industries, LLC who were participants in the Local 1175 Welfare Fund and who became participants eligible for benefits from the Local 175 Welfare Fund as a result of a certified change in collective bargaining representative in 2005, excluding all persons who received retiree-related benefits from the Local 1175 Welfare Fund. Peters v. Aetna Inc., No. 1:15-CV-00109-MR, 2019 WL 1429607 (W.D.N.C. Mar. 29, 2019) (Judge Martin Reidinger). In this action alleging RICO and ERISA violations for Aetna’s alleged fraudulent scheme with subcontractors causing insureds to pay for the subcontractors’ administrative fees misrepresented as fees for medical expenses, the court denied Plaintiffs’ motion for class certification of the “Plan Claim Class” and the “Member Claim Class.” The court concluded that Plaintiff has not offered a reliable and administratively feasible mechanism for determining which plans and participants fall within the proposed class definitions and that Plaintiff’s flawed methodology for determining class membership also reflects a lack of commonality among the putative class members. Foster v. Principal Life Ins. Co., No. 17-30997, __F.3d__, 2019 WL 1474315 (5th Cir. Apr. 4, 2019) (Before SMITH, DUNCAN, and ENGELHARDT, Circuit Judges). Assuming without deciding that an ERISA plan administrator abuses its discretion by denying benefits under an “Own Occupation” clause based on reports couched only in terms of a claimant’s ability to work at “a full-time sedentary position,” the court found that Principal did not abuse its discretion in denying Plaintiff’s disability benefits where there is substantial evidence showing at least one evaluating physician considered Plaintiff’s disability in light of the specific duties required by her occupation as an attorney. Though the existence of Plaintiff’s disability based on migraines may be difficult or impossible to demonstrate with “objective evidence,” Principal could require objective evidence of Plaintiff’s inability to work as a result of migraines. The court gave Principal’s conflict of interest little weight considering its extensive investigation of Plaintiff’s claim. Allen v. The Lilly Extended Disability Plan, No. 116CV02224TWPTAB, 2019 WL 1429256 (S.D. Ind. Mar. 29, 2019) (Judge Tanya Walton Pratt). 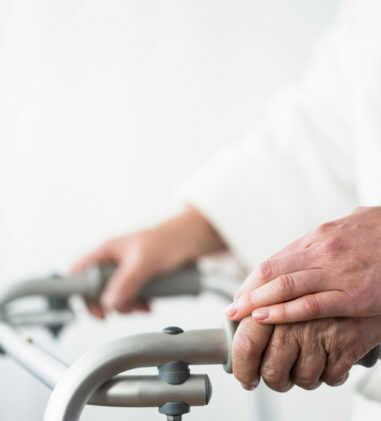 The court determined that the Benefits Committee did not abuse its discretion when it decided to terminate Allen’s long-term disability benefits. The court addressed Plaintiff’s four main arguments for how the Benefits Committee violated the terms of the Plan. 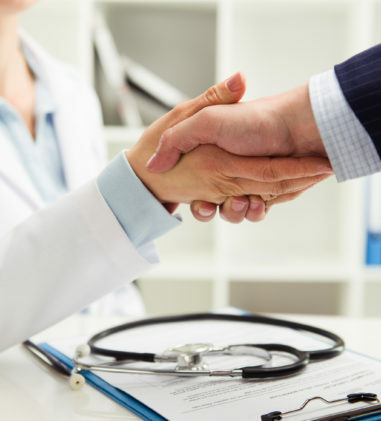 First, the Benefits Committee was not required to conduct a physical examination of Plaintiff over an independent review of her medical records. Second, Defendants were not required to prove that Plaintiffs’ condition improved before it could terminate benefits that it previously approved; “improvement is a factor for the provider of benefits to consider but not a hurdle it must overcome.” Third, Defendants were entitled to give more significant weight to more recent evidence and discount an SSA award from nearly a decade ago. 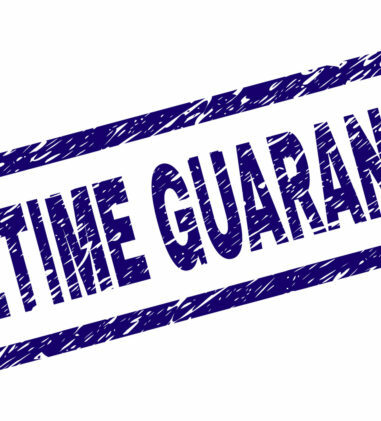 Lastly, any post hoc rationale offered by the Benefits Committee does not entitle Plaintiff to summary judgment given the evidence in the record supporting the termination of benefits and the arbitrary and capricious standard of review. Roebuck v. USAble Life, No. 4:18-CV-00092 KGB, 2019 WL 1449617 (E.D. Ark. Mar. 30, 2019) (Judge Kristine G. Baker). The court determined that Defendant did not abuse its discretion when it denied Plaintiff’s disability benefits under the policy. The three-and-a-half-hour functional capacity examination that Plaintiff underwent shows that she can tolerate the Sedentary level of work for a 40-hour week. The conflict of interest was reduced close to or to the vanishing point as there was nothing in the record that Defendant’s evaluators were compensated based upon the outcome of their evaluations. Hodges v. Life Ins. Co. of N. Am., No. 18-1279, __F.3d__, 2019 WL 1446800 (10th Cir. Apr. 2, 2019) (Before MATHESON, PHILLIPS, and EID, Circuit Judges). See Notable Decision summary above. Metzgar v. U.A. Plumbers and Steamfitters Local No. 22 Pension Fund, et al., No. 13-CV-85V(F), 2019 WL 1466969 (W.D.N.Y. Apr. 3, 2019) (Magistrate Judge Leslie G. Foschio). The court granted Plaintiffs’ attorneys’ fees in the amount of $2,526 in connection with the motion to compel they brought to obtain documents relevant to their anti-cutback and breach of fiduciary duty claims. The court disallowed much of the submitted time as not being related to the actual motion to compel. Ramos, et al., v. Banner Health, et al., No. 15-CV-2556-WJM-NRN, 2019 WL 1429283, (D. Colo. Mar. 29, 2019) (Judge William J. Martinez). In this dispute alleging mismanagement of a 401(k) plan, the court found that Defendants’ expert, Thomas R. Kmak, failed to disclose facts and data underlying his opinions. The court reopened expert discovery to allow Plaintiffs to depose him for an additional four hours. The court also ordered the Banner Defendants to disclose supplemental rebuttal expert disclosures from Kmak and to produce certain documents relied on by Kmak. Howard Jarvis Taxpayers Association v. The California Secure Choice Retirement Savings Program, No. 218CV01584MCEKJN, 2019 WL 1430113 (E.D. Cal. Mar. 29, 2019) (Judge Morrison C. England, Jr.). Plaintiffs allege that the California Secure Choice Retirement Savings Program, a state-mandated auto-enrollment retirement savings program, is preempted by ERISA. The court found that Howard Jarvis Taxpayers Association does not have associational standing but that it does have standing as an “Eligible employer” under the Program. The court found this matter is ripe for adjudication because although enrollments have not yet occurred, the Program was enacted in 2012 and is “implemented” as of 2017. Additionally, the mandatory auto-enrollment feature is already established. The court determined that the Program is not entitled to the Safe Harbor exemption but it does not matter since the Program does not create an “employee benefit plan,” and is not preempted by ERISA. Defendants’ Motion to Dismiss granted. Brand v. Church, et al., No. 6:19-CV-00054-LSC, 2019 WL 1452891 (N.D. Ala. Apr. 2, 2019) (Judge L. Scott Coogler). Plaintiff brought several state law claims against her former employers for not using her withheld wages to pay her insurance premiums and converting her deductions for their own purposes. Plaintiff also alleged that the insurance company, Alliance, acted in bad faith when it refused to pay her claim for the chemotherapy treatments and that it failed to warn her that the insurance premiums were not being paid. The court found Plaintiff’s claims preempted by ERISA because the insurance plan was established by her employer and she has standing to sue under ERISA Section 502(a) because she was a plan participant when her insurance allegedly lapsed. The court also found that no independent legal duty supports her claims. All of the claims require the court to review the plan terms. The court denied Plaintiff’s motion to remand to state court and permitted Plaintiff to recharacterize her breach-of-contract claim as a claim for benefits under ERISA and dismissed all other claims. Kenneth P., et al. v. Blue Shield of California, No. 18-CV-03550-JSW, 2019 WL 1439094 (N.D. Cal. Apr. 1, 2019) (Judge Jeffrey S. White). In this dispute over the payment of services for residential treatment, the court concluded that “Plaintiffs have satisfied, albeit barely, Twombly’s pleading standards and have sufficiently alleged facts to support their second claim for relief” under 29 U.S.C. section 1132(a)(3) based on alleged violations of the Mental Health Parity and Addictions Equity Act of 2008. The court denied Defendant’s motion to dismiss. Cohen v. Liberty Mut. Grp. Inc., No. 16-CV-9295 (VSB), 2019 WL 1437615 (S.D.N.Y. Mar. 31, 2019) (Judge Vernon S. Broderick). In this case Plaintiff, a former Liberty Mutual executive, voluntarily resigned and began working for a competitor, Aspen Insurance Services. He was entitled to receive benefits under the Liberty Mutual Group Inc. Executive Partnership Deferred Compensation Plan (“EPDCP”) and Liberty Mutual Group Inc. 2012 Executive Partnership Plan (“EPP”) based on his 16 years of service. After he left Liberty Mutual for Aspen, as did many others in his wake, Defendants reclassified his voluntary resignation to a termination for cause, which caused him to forfeit all vested and unvested units in the Plan, totaling $1.27 million in retirement benefits. 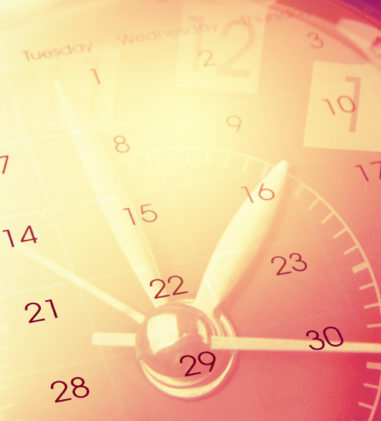 The court found that de novo review would typically be appropriate in this case because the Plans did not comply with the ERISA notice requirements when it denied Plaintiff’s claim, including not identifying any Plan provision or including information about the review procedures or time limits. However, out of caution, the court applied the arbitrary-and-capricious standard of review and found that the Plans’ denial cannot withstand scrutiny under any applicable standard of review. The court determined that Plaintiff is entitled to benefits because the “For-Cause Sections” contemplate a circumstance in which a plan participant’s employment is terminated for cause by Liberty Mutual and it is undisputed that Liberty Mutual did not terminate his employment. The act of departing a company cannot alone constitute “cause.” The court found that remand to Defendants would be a useless formality and ordered Defendants to grant Plaintiff’s claim for benefits. Metzgar v. U.A. Plumbers & Steamfitters Local No. 22 Pension Fund, No. 13-CV-85V(F), 2019 WL 1428083 (W.D.N.Y. Mar. 28, 2019) (Magistrate Judge Leslie G. Foschio). 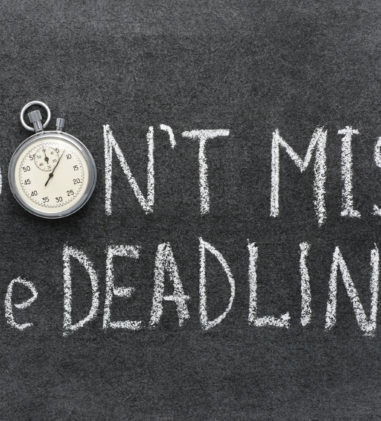 Defendants’ suspension of Plaintiffs’ Early Retirement Pensions unless Plaintiffs terminate further employment with Plaintiffs’ employers does not violate ERISA’s anti-cutback rule because Defendants’ determination is not an amendment to the Plan subject to review under § 204(g). Defendants’ administrative action resulting in the suspension of Plaintiffs’ pensions and loss of employment income was not a de facto plan amendment actionable under § 204(g). 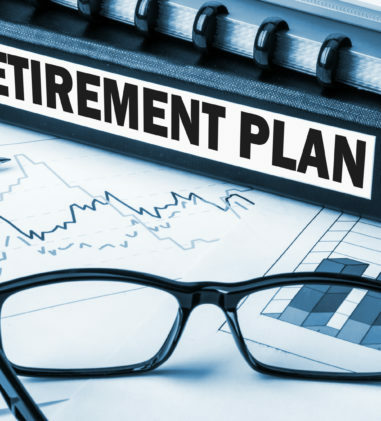 Plaintiffs’ special early retirement pensions were not an accrued benefit under the Plan because they were improperly approved based on Defendants’ misunderstanding of § 401(a)’s requirement. “Defendants’ suspension of Plaintiffs’ pensions or requiring Plaintiffs forgo continued employment with Plaintiffs’ former employers was not arbitrary, capricious or illegal. To the contrary, it was on based on a reasonable interpretation of applicable Treasury regulations, I.R.S. rulings and the PLR required to preserve the Fund’s tax-exemption.” Defendants did not breach their fiduciary duty to Plaintiffs by acting in compliance with their obligation under the Trust and applicable tax law. 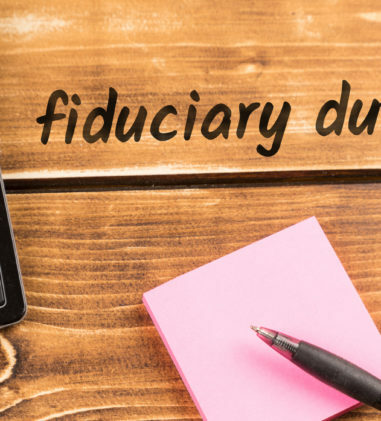 The breach of fiduciary duty claim is also subject to dismissal due to redundancy. The court also denied Plaintiffs’ motion for leave to file a supplemental complaint and for preliminary injunction. In re: Exide Techs., Reorganized Debtor., No. 13-11482 (KJC), 2019 WL 1422817 (Bankr. D. Del. Mar. 28, 2019) (Judge Kevin J. Carey). The court sustained the Omnibus Objection to a retiree’s claim for pension benefits. The court found that the Reorganized Debtor’s evidence is sufficient to overcome the prima facie validity of Mr. Jones’ claim for an unreduced early retirement benefit given the terms of the Pension Plan, modified by the Closing Agreement entered into by the company and the union. Anthony v. International Association of Machinists and Aerospace Workers District Lodge 1, et al., No. CV 17-1249 (ABJ), 2019 WL 1427244 (D.D.C. Mar. 29, 2019) (Judge ). The court granted the Fund’s motion for summary judgment because the Fund’s decision finding that Plaintiff was ineligible to participate in the Fund was reasonable and entitled to deference. The court found that it was reasonable for the Appeals Committee to examine extrinsic evidence to determine the meaning of the Participant Agreement. It was reasonable to conclude that District Lodge 1 did not intend to make contributions on behalf of Organizers. 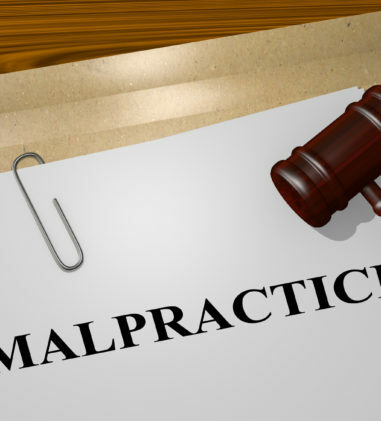 The court also determined that Plaintiff cannot pursue duplicative remedies under § 1132(a)(3). Labul v. XPO Logistics, Inc., No. 3:18-CV-2062 (VLB), 2019 WL 1450271 (D. Conn. Apr. 2, 2019) (Judge Vanessa L. Bryant). In this action alleging violations of Sections 10(b) and 20(a) of the Securities Exchange Act of 1934, the court rejected Local 464A argument that the Pension Funds cannot serve as lead plaintiff because they are trusts which lack standing. The court determined that the Pension Funds are multiemployer pension plans covered by ERISA and therefore have been granted the “status of entities capable of bringing suit in any context in which the district court’s exercise of subject matter jurisdiction is otherwise appropriate.” And, this court has subject matter jurisdiction over this action pursuant to 28 U.S.C. § 1331 and Section 27 of the Exchange Act, 15 U.S.C. § 78aa. Ferguson v. Ruane Cuniff & Goldfarb Inc., et al., No. 17-CV-06685 (ALC), 2019 WL 1434435 (S.D.N.Y. Mar. 29, 2019) (Judge Andrew L. Carter, Jr.). In this putative class action alleging breach of fiduciary duty and other ERISA violations, the court denied Ostrander’s Motion to Intervene. The court found that it was untimely since it was filed nine months after having both constructive and actual notice of her interests. “Courts have found shorter delays untimely.” The court also found that permitting intervention will cause prejudice to existing parties who are in settlement discussions and have held numerous mediation sessions. Ostrander’s interests are adequately represented by Plaintiffs, so she has failed to prove her right to intervene under Rule 24(a). The court also denied permissive intervention under Rule 24(b). Culver v. NXP USA Inc. Long Term Disability Ins. Plan, No. CV-18-02205-PHX-DWL, 2019 WL 1452992 (D. Ariz. Apr. 2, 2019) (Judge Dominic W. Lanza). The court denied Motion to Seal Plaintiff’s Motion to Supplement the Administrative Record and Its Respective Exhibits, which include 344 pages of records. The court explained that Plaintiff does not meet the “compelling reasons” standard. “The annoyance and expense of taking time to redact personal information from documents ordinarily cannot outweigh the public’s interest in access.” Though Plaintiff has a privacy interest in his medical records, he placed his medical condition at issue by filing this ERISA action. In re Needham Excavating, Inc., Employment Ret. Income Sec. Act (Erisa) Litig., No. MDL 2883, __F.Supp.3d__, 2019 WL 1467975 (U.S. Jud. Pan. Mult. Lit. Apr. 2, 2019) (Before Sarah S. Vance, Chair, Lewis A. Kaplan, Ellen Segal Huvelle, R. David Proctor, Catherine D. Perry, Karen K. Caldwell, Nathaniel M. Gorton Judges of the Panel). The court denied Needham Excavating, Inc.’s motion under 28 U.S.C. § 1407 to centralize pretrial proceedings in this litigation, consisting of two actions, in the Southern District of Iowa. The panel concluded that centralization is not necessary for the convenience of the parties and witnesses or to further the just and efficient conduct of this litigation. Washington v. Hughes Socol Piers Resnick, No. 18 C 05162, 2019 WL 1426286 (N.D. Ill. Mar. 29, 2019) (Judge Edmond E. Chang). Plaintiff alleges that the defendant law firm she hired to represent her in termination proceedings against the Chicago Public Schools Board worked with the Board to force her out of her position to avoid paying employee benefits in violation of ERISA Section 510. The court granted the law firm’s motion to dismiss the ERISA claim. “[E]ven if a law firm that has helped an employer force out the firm’s client to prevent the exercise of ERISA-protected rights could theoretically be liable under § 510, Washington has not stated a plausible claim against Hughes Socol.” The law firm is not Plaintiff’s former employer and there are no allegations about the law firm’s motive or relationship to the Board or the law firm’s knowledge of and involvement in the Board’s allegedly discriminatory plan. Roebuck v. USAble Life, No. 4:18-CV-00092 KGB, 2019 WL 1449617 (E.D. Ark. Mar. 30, 2019) (Judge Kristine G. Baker). The court found that de novo review does not apply because the disability policy was issued and renewed prior to March 1, 2013, and was not renewed again after that date. Thus, Ark. Admin. Code 054.00.101-7 (“Rule 101”), which prohibits discretionary clauses, does not apply. The court disagreed with Plaintiff that the anniversary date of a policy is not a “renewal” of that policy under Rule 101. Metzgar v. U.A. Plumbers & Steamfitters Local No. 22 Pension Fund, No. 13-CV-85V(F), 2019 WL 1428083 (W.D.N.Y. Mar. 28, 2019) (Magistrate Judge Leslie G. Foschio). Plaintiffs requested that Defendants’ counterclaims “seeking recoupment of the approximately $1.9 million erroneously paid to Plaintiffs from 2002 to the current date as improperly approved Special Early Retirement pensions be withdrawn for failure to designate a fund exclusively holding such payments in order to support equitable relief available under ERISA as required by Great-West Life & Annuity Ins. Co. v. Knudson, 534 U.S. 204, 213-14 (2002).” Defendants requested permission to withdraw the Counterclaims since they are unable to establish the existence of the pension funds paid to Plaintiffs to support enforcement of the equitable lien or constructive trust. Considering Defendants’ request under Rule 41(a)(2), the court found that Defendants’ motion to dismiss the Counterclaims should be granted with prejudice. States v. F.C.J. Properties, Inc., No. 17-CV-5320, 2019 WL 1425444 (N.D. Ill. Mar. 29, 2019) (Judge John J. Tharp, Jr.). In this dispute where the Fund alleges that Defendant transferred real property to Total Waste Management, LLC in order to evade payment of a debt it owed to the Fund in violation of ERISA, the court denied the Fund’s motion for summary judgment with respect to its ERISA claim and granted it with respect to its state law claim under § 566.35(1) of the Michigan Uniform Fraudulent Transfer Act. The court entered judgment against Total Waste Management in the amount of $167,152.00. Service Employees International Union National Industry Pension Fund, et al. v. Castle Hill Healthcare Providers, LLC, No. CV 17-1666 (RDM), 2019 WL 1429536 (D.D.C. Mar. 30, 2019) (Judge Randolph D. Moss). The court granted the Fund’s motion for summary judgment in part and denied it in part without prejudice.